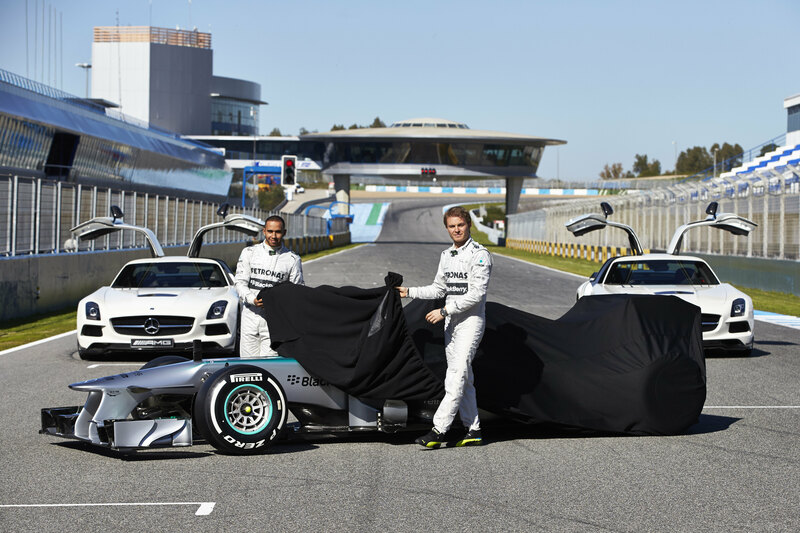 Mercedes have confirmed on Twitter that their 2014 F1 car, the W05, will be revealed on the morning of 28 January, the first day of pre-season testing in Jerez. The W05 is one of the most hotly anticipated F1 cars of 2014, as Mercedes are expected to finally be in a position to challenge for the World Championship after four years of trailing behind Red Bull. In 2013, Mercedes exceeded expectations by finishing second in the Constructors’ Championship and winning three races. For the first half of the 2012 season, the Mercedes W04 was the car to beat in qualifying, and the team ended up with eight pole positions – five for Lewis Hamilton and three for Nico Rosberg. Hamilton and Rosberg have both been retained for 2014 and will race the W05 for Mercedes.